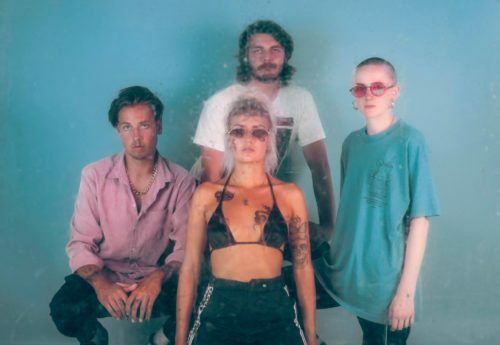 Brighton UK 4 piece Drip Gloss dropped their debut track Fame and a video. Drawing influences from Mavi Phoenix, MØ/Diplo, and Blood Orange, the latest track delves into the topic of self absorption. Born Music notes, “some of the electronics sound like they could have been pulled directly from an old-school Nintendo game”. The track was helmed by Dave McCracken who is known for his work with Depeche Mode and East-London based Dreamtrak. Having gigged alongside Bad Sounds and Boy Pablo, the band will perform tonight with The Magic Gang at a sold out gig at Concorde 2. Give it a stream!